One of the most colorful and visually striking tarantulas available is the Chromatapelma cyaneopubescens, also know as the Green Bottle Blue or GBB for short. I purchased my first GBB as a sling back in October of last year, and have since picked up another. 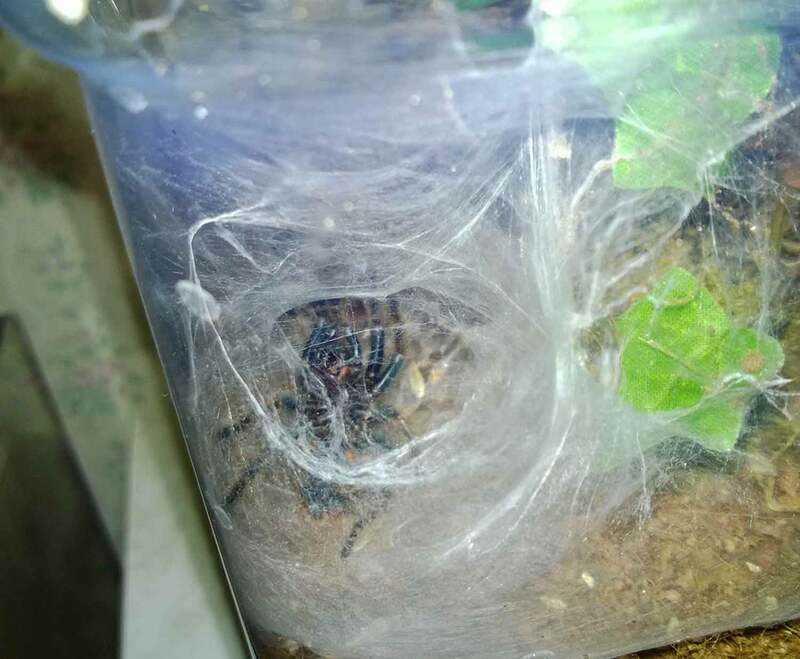 Over this six month period, my first GBB has molted four times, growing from a .75″ sling to a 2+” juvenile. With each molt, it has acquired more and more of her adult coloration. This weekend, it molted again, and along with about .25″ of growth, it’s also picked up a bit more of the adult orange on its abdomen and slightly darker legs below the femurs. 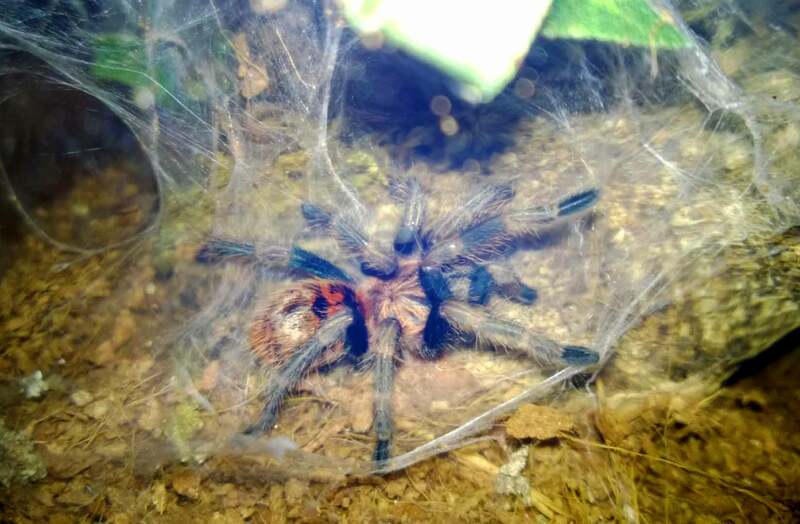 My C. cyaneopubescens on its back during a molt. My C. cyaneopubescens after its recent molt. Unfortunately, the last picture was shot through some of the web, which mutes some of the colors through the milky veil. It now has much more orange on the abdomen, and it really pops much more than I was able to capture in this photograph. I will be eagerly awaiting to see what coloration changes the next molt brings.